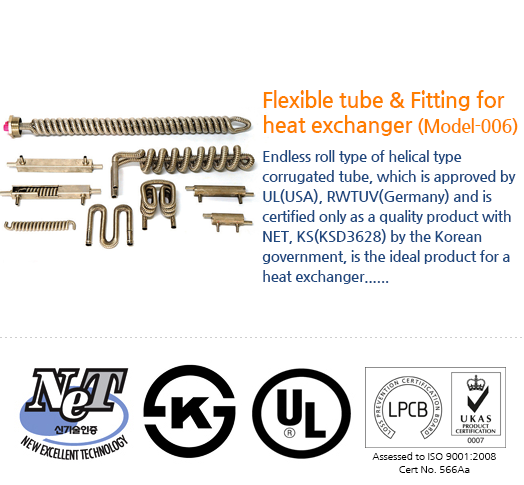 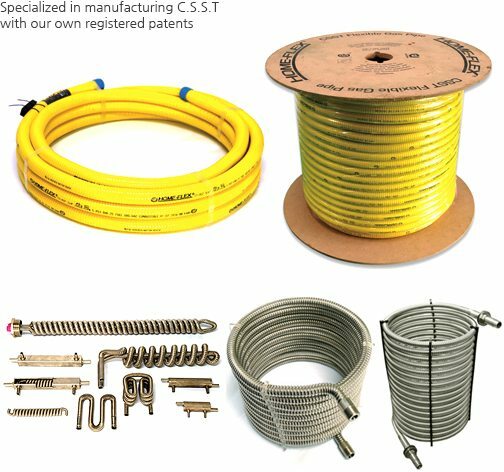 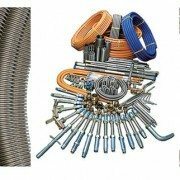 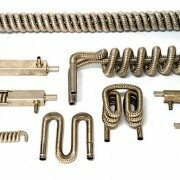 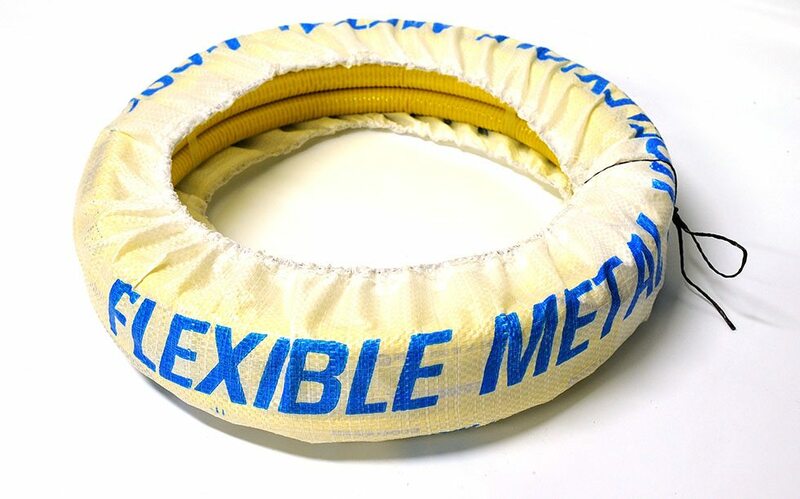 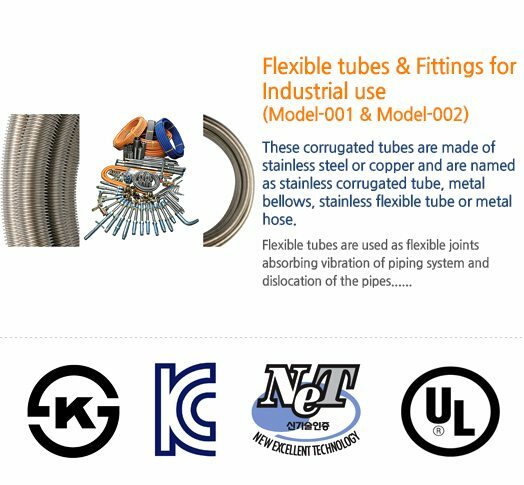 Endless roll type of helical type corrugated tube, which is approved by UL(USA), RWTUV(Germany) and is certified only as a quality product with NET, KS(KSD3628) by the Korean government, is the ideal product for a heat exchanger. 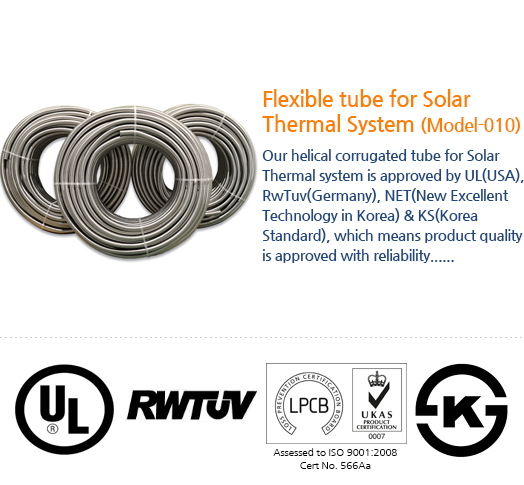 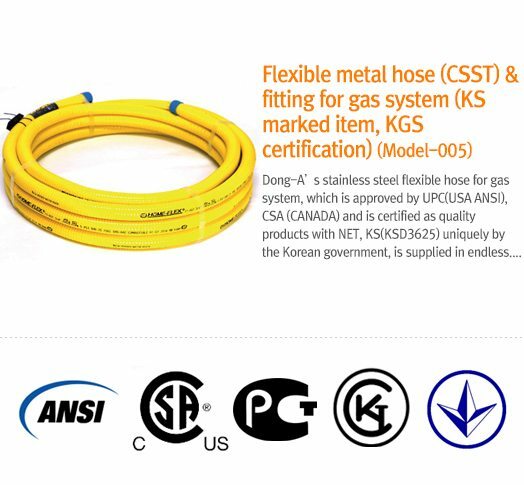 The corrugated tube which is approved by UPC(USA), ANSI(American standard), CSA(Canadian standard), RWTUV(Germany) and is quality certified as new technology (NET) by Korean government. 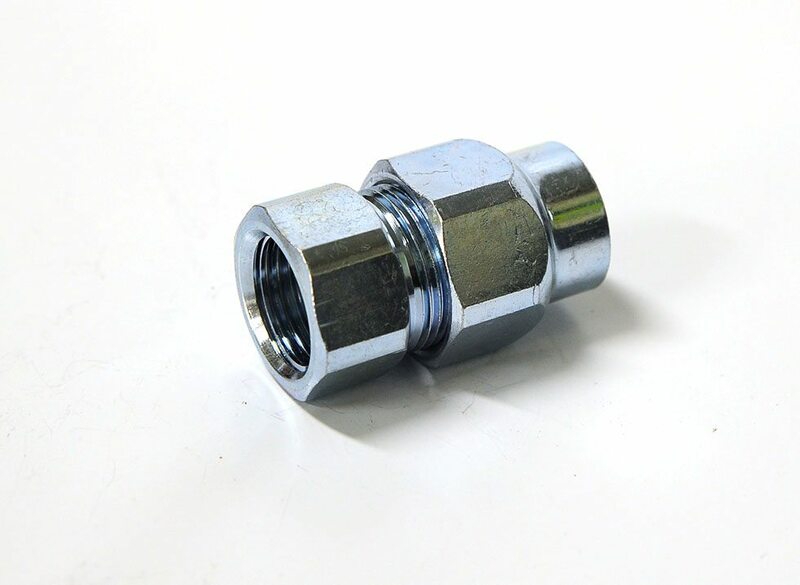 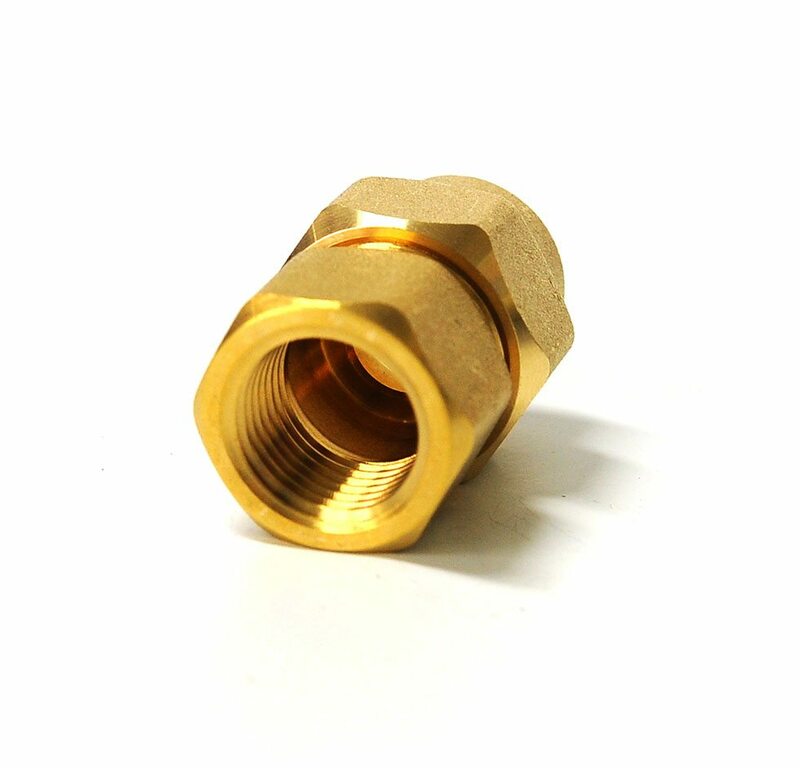 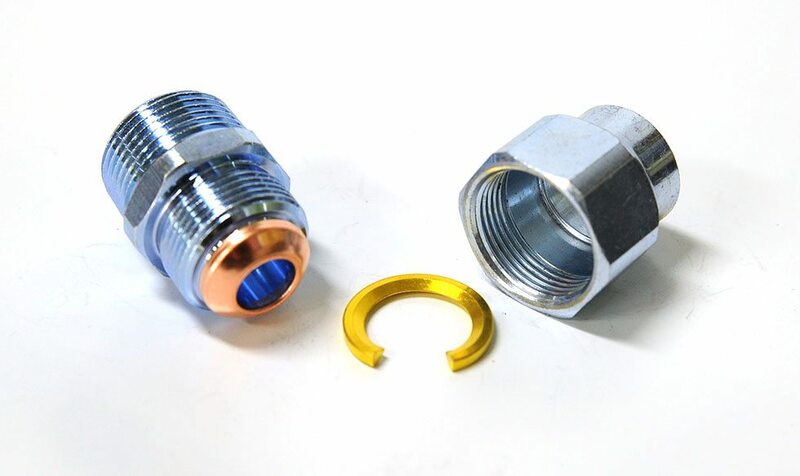 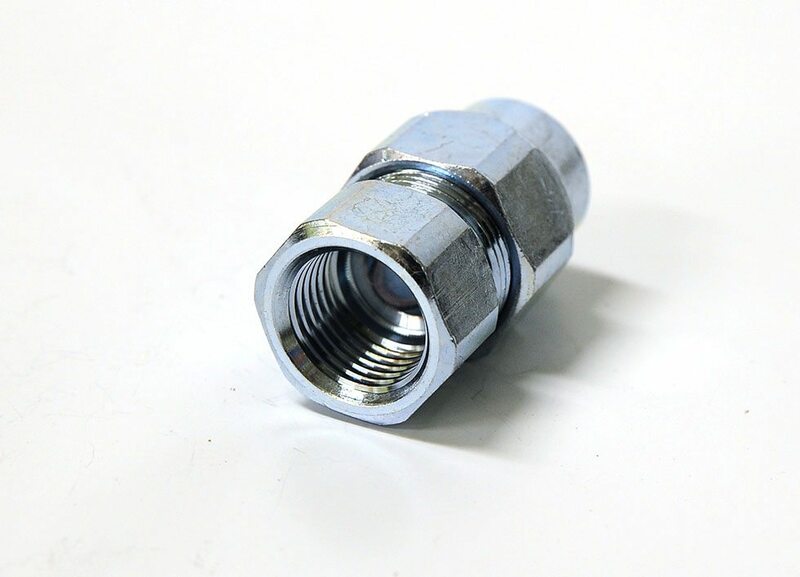 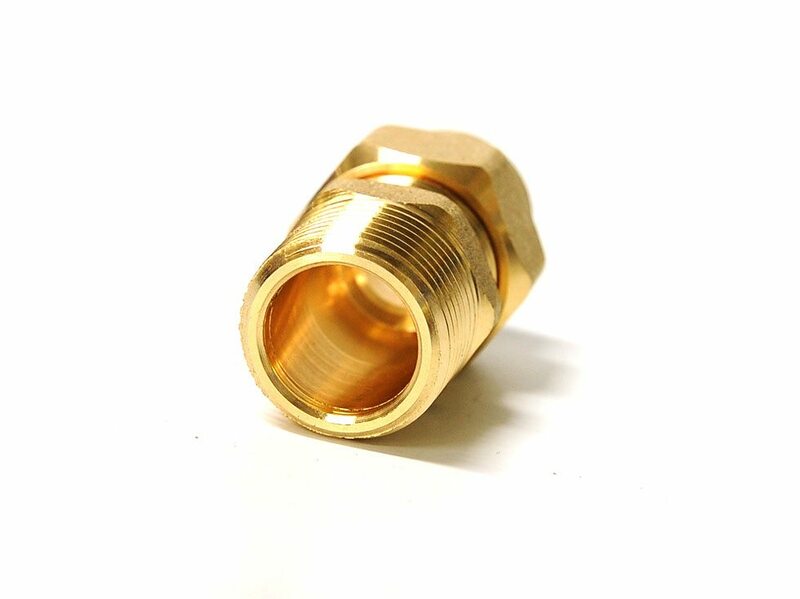 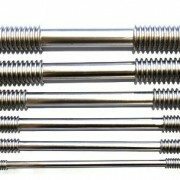 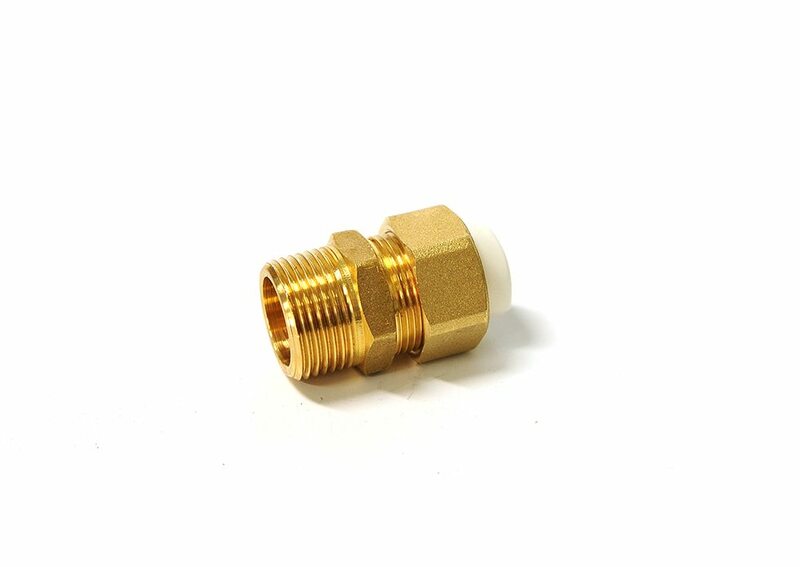 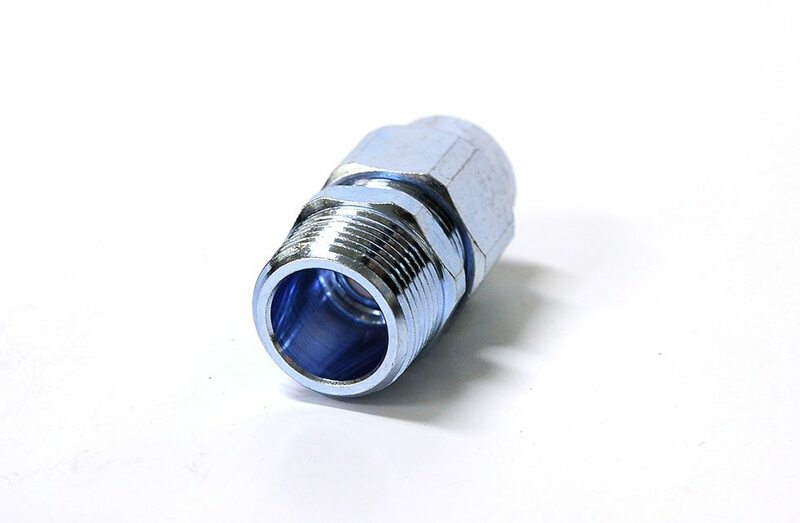 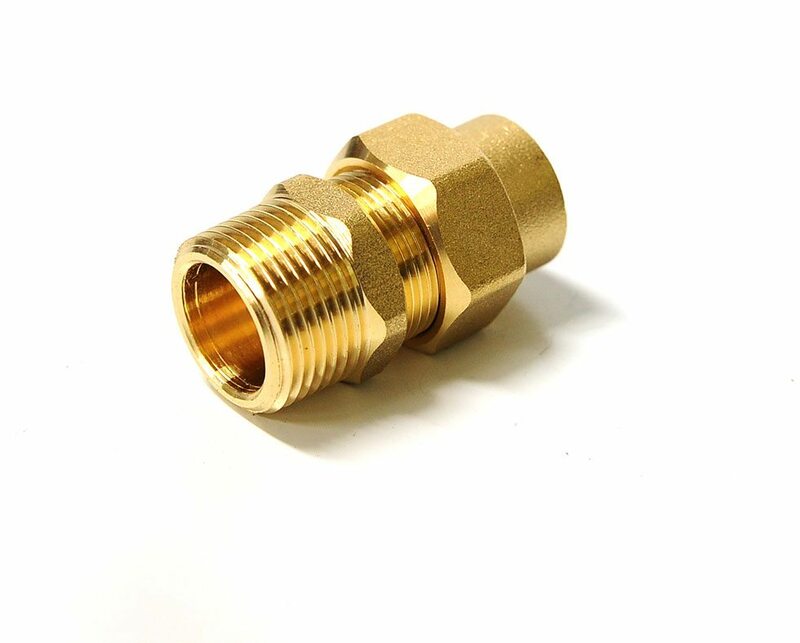 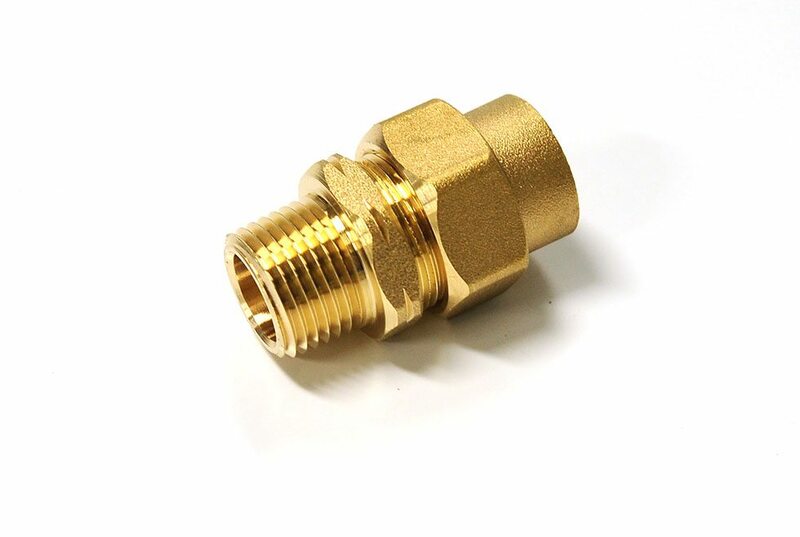 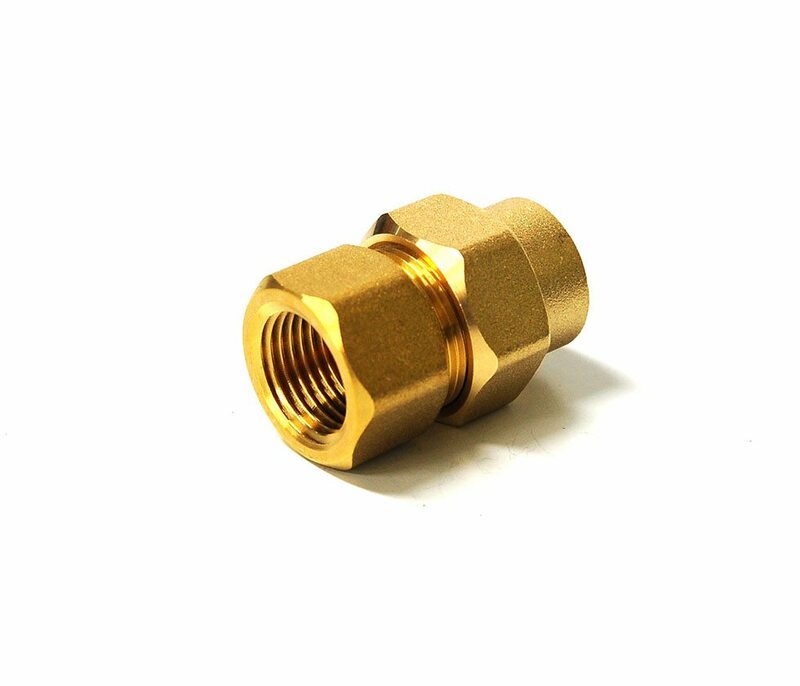 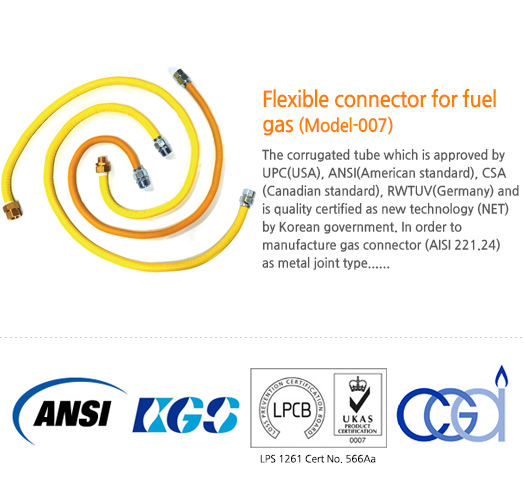 In order to manufacture gas connector (AISI 221.24) as metal joint type, it is offered with swaging on both ends of annular type stainless steel flexible tube & flare type or flare type metal joint connector. 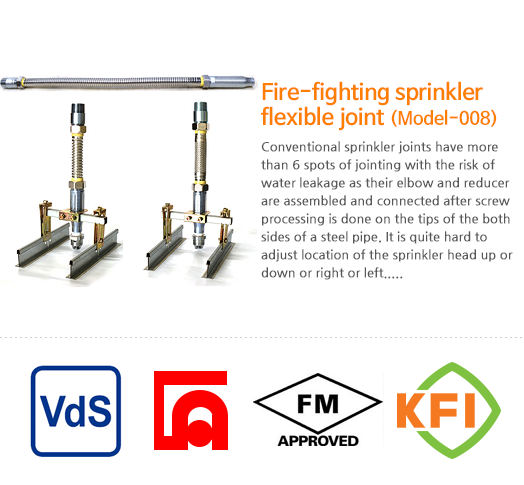 Conventional sprinkler joints have more than 6 spots of jointing with the risk of water leakage as their elbow and reducer are assembled and connected after screw processing is done on the tips of the both sides of a steel pipe. 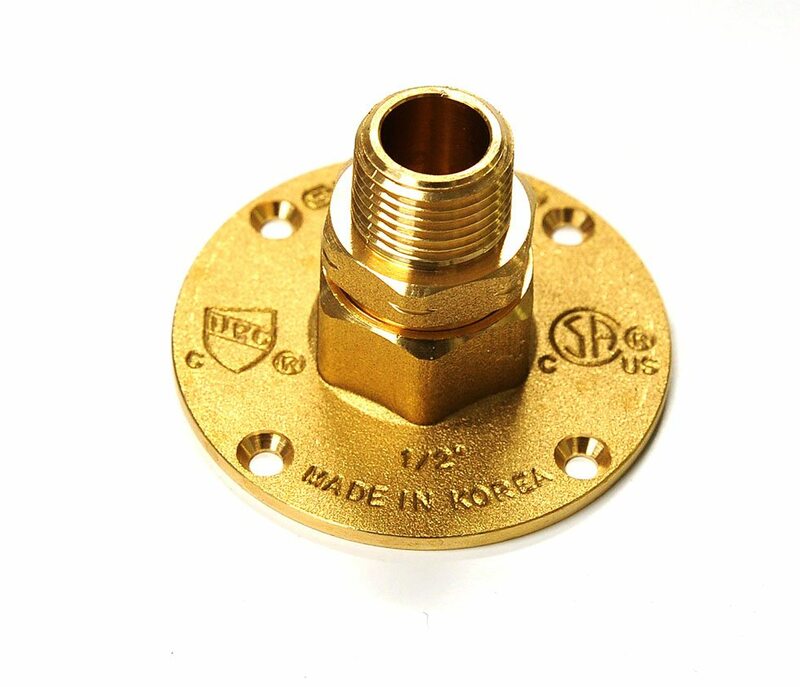 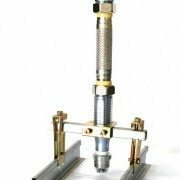 It is quite hard to adjust location of the sprinkler head up or down or right or left. 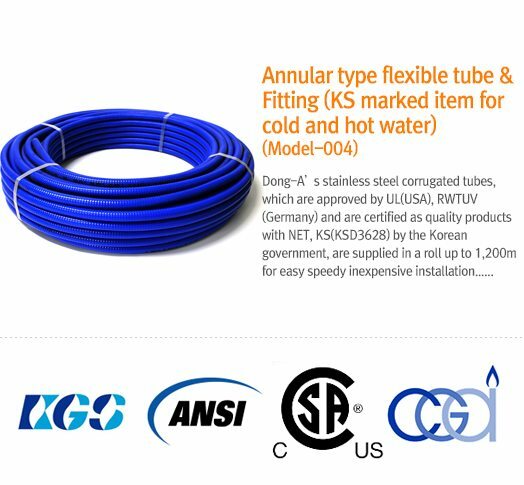 Also, installation of the equipment on the narrow ceiling requires high-skilled construction workers and long time due to the obstacles of the structure such as air-cooling, heating ducts, electricity and communications facilities. 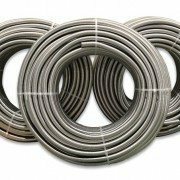 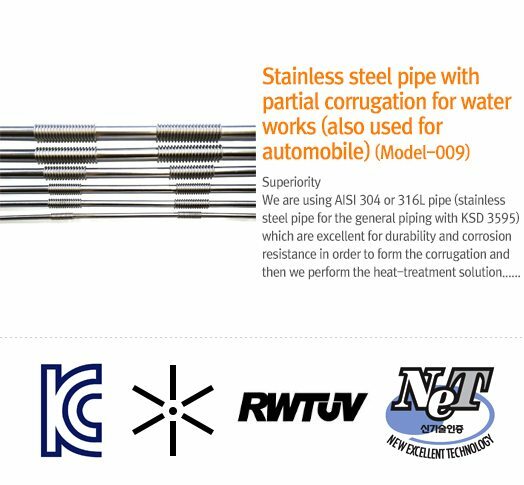 We are using AISI 304 or 316L pipe (stainless steel pipe for the general piping with KSD 3595) which are excellent for durability and corrosion resistance in order to form the corrugation and then we perform the heat-treatment solution. 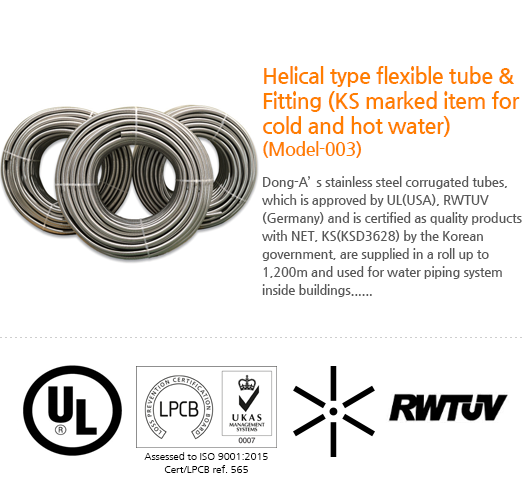 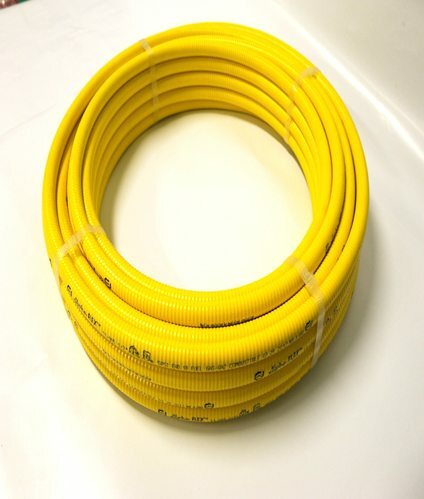 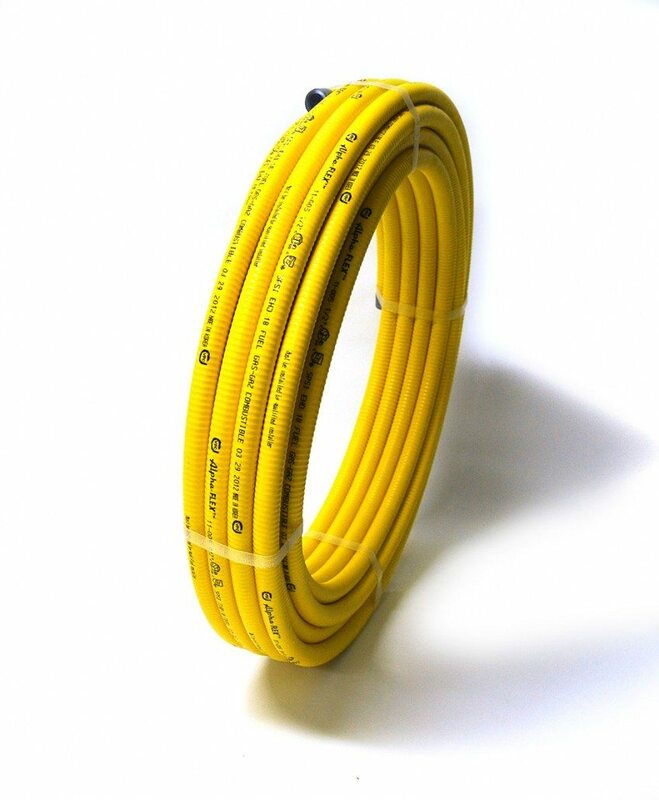 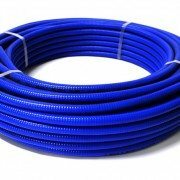 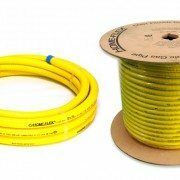 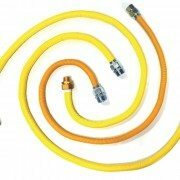 So they are the best hygienic piping materials.